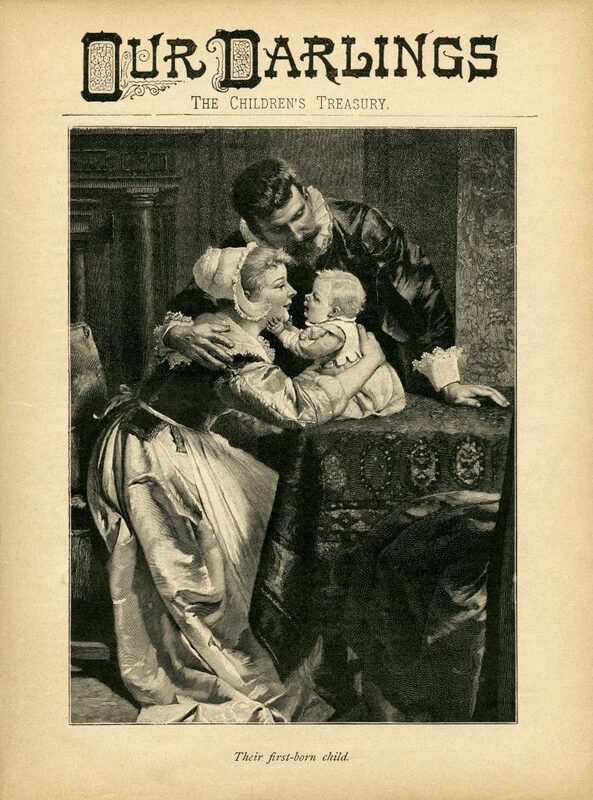 This lovely vintage engraving features a young man and woman admiring their adorable, happy, little baby. The baby, supported by mommy’s protective arms, is seated on a table in front of the loving parents. The baby is gently touching his or her mommy’s face with both hands. The art is titled Their First Born Child. 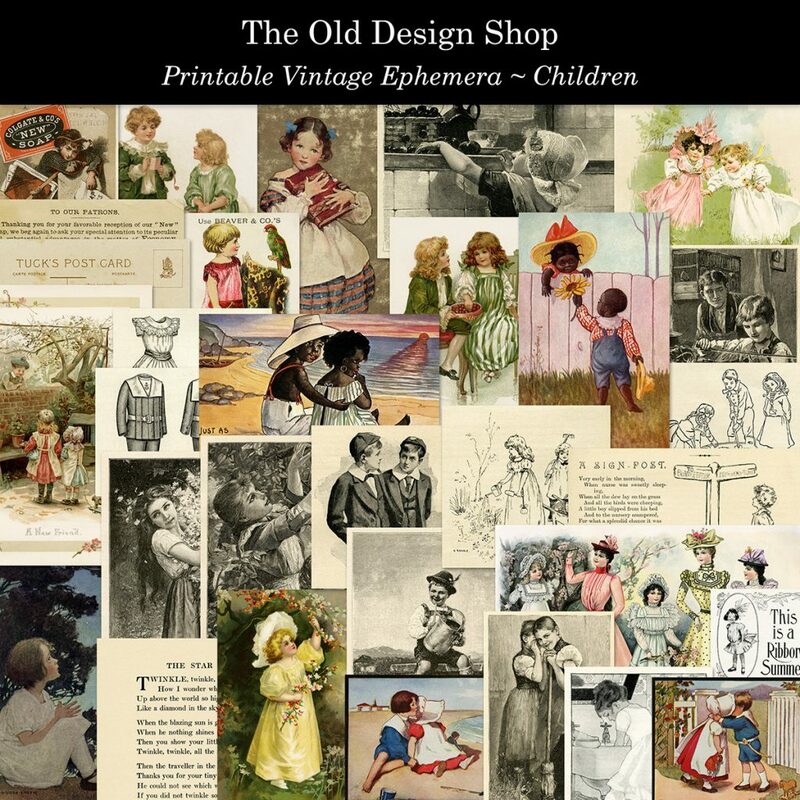 Above the illustration is the heading Our Darlings, The Children’s Treasury. I scanned the original image from the book titled Our Darlings: The Children’s Treasury of Pictures and Stories, by John F. Shaw and Co., London, circa 1900. 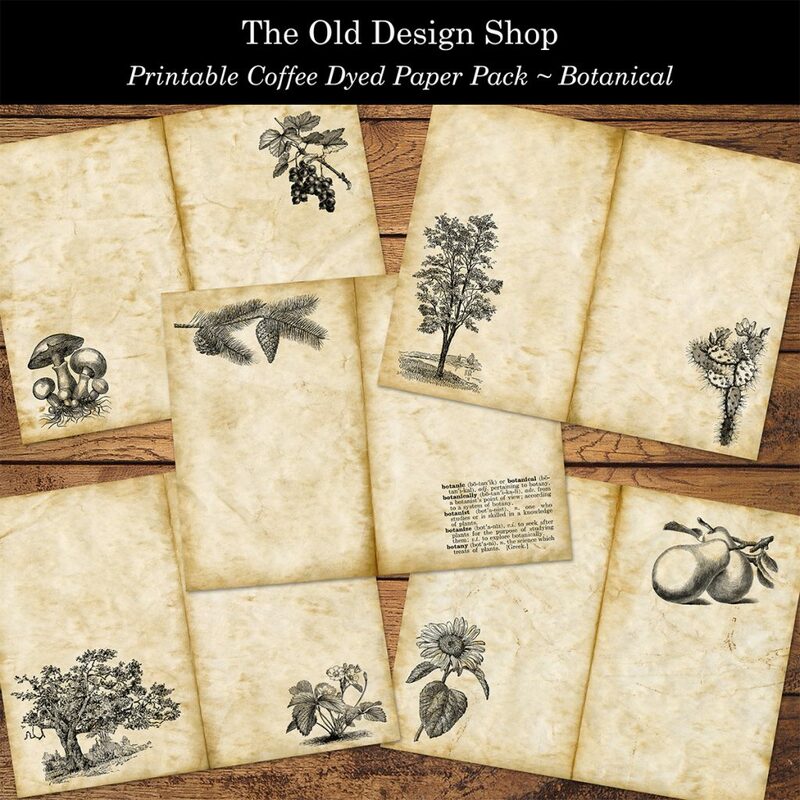 New in my Etsy shop this week is a printable children themed vintage ephemera set: And a printable set of coffee dyed botanical themed papers: Images are linked to my shop.